Arsenal striker Pierre-Emerick Aubameyang scored a stunning second goal for the Gunners against Cardiff City this afternoon. 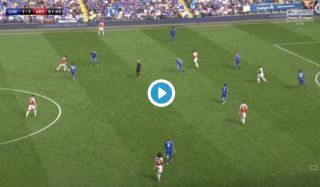 Although the Welsh side responded shortly afterwards to make it 2-2, we saw glimpses of how the team could play under Unai Emery with some great build-up for this strike. Aubameyang finished perfectly with a curling effort from just outside the box, with Mesut Ozil and Alexandre Lacazette both involved with some neat passing beforehand. Lacazette has had to make do with a place on the bench for most of this season before getting a start today, while Ozil missed out last week due to illness, though there has been talk from the Daily Mail that Emery wants more from him after an unconvincing start to the season.